You can use a free VPN such as windscribe, but it has limit 10 GB / month. After you sign up, you can select the country as Netherland. Sometimes fellows on HUKD share a promo code that you can get up to 60GB / month. How do I change the location to the Netherlands? Don't seem able to get Airborne anymore. Anyone else had problems. It just wants to charge me £19.99 EDIT: Solved it by logging out then back in again. Silly internet. Same here - just tried 5 mins ago. Anyone else being charged when trying to download rayman 3 HD on the Xbox one? It's definitely happening to others judging by the comments on the Xbox store. I have a full active gold subscription before anyone asks lol! Is this for PC or console? Wheres the logic in that? It should be cheap if its old but why should it be free? sorry guys but this was free about 2 months ago as that's when I claimed it. 5 weeks ago. I'm sure a re-post is fine and a great reminder for those that missed it. Heated OP, thanks for posting. Thanks! Just saw this in the morning! Added to my Origin games list thanks. Been playing/replaying some good old FPS single player games over the last few months (Half-life1 &amp; 2, Return to Castle Wolfenstein, COD1 &amp; 2, Brothers in Arms: RtH 30, F.E.A.R., S.T.A.L.K.E.R SOC) so will probably give this a try out too. 'pay extra' You say that as if BF4 is an extra quid or something, it's not. MOHAA, my fav game of all time. ​BF3 and 4 both should be owned in my opinion. I feel 3 is the more refined game but it's very very close overal. Never miss a 'Medal of Honor' deal again! Reading up on wing commander 3 and surprised at how many people love the game! Never played it myself, but seeing gog has it on sale and is stated to work on Windows 7, I'm interested in checking the game out, have any of you guys played it on a Windows 7 setup and how does it hold up after so many years??? Some real classics there - tempted by Ultima underworld - defintely buying the Wing Commanders Love this review for Wing Commander 3 :D The Game that saved my life as a teenager - I know that headline is ridiculously, overly, absurdly, stupidly, obnoxiously melodramatic (like this run on sentence), but it is true. Maybe this "REVIEW" is more about the nostalgia of being 14 locked away in my dimly lit star base (ppl would call it a messy bedroom), spending an entire weekend and into the early hours of the morning, saving the galaxy, hooking up with a girl, making friends and following my own little video game version of "Star Wars". Dad was down stairs drinking as usual, mom didn't care, I was a nerd, a geek and all I cared about was that my 486/DX 2 66mhz processor that I saved up for could handle this masterpiece of a game. I'd run upstairs after school looking at that big beautiful box, I'd tear it open and start the install process that took a VERY looooong time! I was impatient, I paced and I skipped dinner, and when those opening credits began those super blurry pixelated fmv gfx looked like 1080p HD graphics of the future. Dad would stumble up the stairs drunk yelling at the world, mom would be crying, I had no one to call..to save me except THAT HEART OF THE TIGER..&gt;&gt;&gt;&gt;ME!!! I'd hush the speakers so no one knew I was up and I wouldn't get yelled at by the drunk old man....he's asleep YES! Back to the fight! It was my escapism, it was a truly epic story that I really felt a part of, I MADE CHOICES!!! My choices had an effect on the outcome of certain situations, it's an RPG, ADVENTURE , flight sim all wrapped up in one(u can even see how mass effect took ideas from wing commanders 3/4). I'm going to download this tonight and put it back in after 17 year (wow), and I know it won't be the same, nothing old ever is and nostalgia does cloud the mind. But I think this weekend an old friend is gonna say to me "kid get in that cockpit and lets have an adventure!" and for a brief moment my ADULT problems will disappear just as those teenage ones did so many years ago. Thank you wing commander! Part of Zavvi's massive sale. Well worth 3 quid. Shared Via The HUKD App For Android. 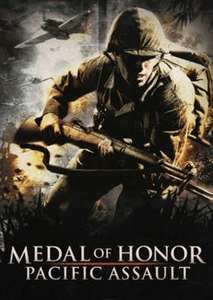 Cool looking Medal of Honor Warfighter cover. Found in Gateshead but guessing this is a national deal. I would have posted regardless of comments. If I am in the minority the deal will soon heat up :-). I thought it was cold... You can't expect everyone on a forum this large to agree. Next time, post your deal and let the mob decide. Only had black ops 1 Cases near me. Also a bunch if griffin cases. Saw these a few week ago and comment one was the exact reason I didn't post it. Op this is national and it seems to be a mixture of EA games, my local had moh and need for speed. Take to the skies and drop into grueling ground attacks in a bid to turn the tide of WWII. Did anyone buy this and manage to get it working? I've been on with EA Support for the last half hour trying to get it running, it keeps asking me to authenticate with an EA account, then saying "Could not connect to the server, please try again in a few minutes." Actually.......I just realised that I got my games mixed up.......was thinking of Medal of Honor Spearhead.......have never played this one.........doh!!! I think you're remembering this game a little too fondly. It was medicore at best, CoD 2 was far better. Worth a punt for an over the average new game! 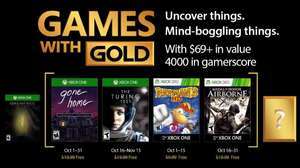 Did you get 1 key for the whole bundle or separate keys for each game? You can download FF14 from the psn store for free! It's online only and you can play up to level 20 or for 14 days for free. Brink is an excellent concept for a game, but the execution is terrible. Coupled with crippling lag from their servers it made the game almost unplayable. It did use DOSbox I believe. Sadly it was just slow and blurry. I'm sure on a 486 with a CRT monitor it looked great. Populous the beginning is the best game of all time! Never did manage to complete privateer 2... Don't think it will have held up well over time though. The prices for really old games are a bit ridiculous, these games should be pennies each. Some things are still good even when they're very old: Movies, music, architecture, places, your nan. :D I'd argue that video games of the last ten years are better than any previous decade. Apart from a select few, I don't really want to play any nineties games. It's bad enough seeing videos of how dated and silly they are. I remember playing MOH:AA online using a 56k modem. Hiding in the shadows of war with my sniper trying to hit slightly laggy/jumpy targets! When the blurb mentions a date in the 'near future' that has actually passed, I'd guess not :). The amount of hours i sank into this game online was unreal. Epic game back in its day. We need new GR soon on next gen! Are the servers still active for this? thanks op another game to add to my collection! own it on ps3. but still gonna buy this one and sell my ps3 copy...the graphics on PS3 is utterly crap.